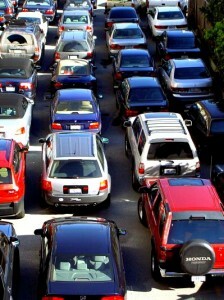 If you’re heading to Barcelona by car you’ll need to think about parking, which unfortunately can be a bit of a pain at times. 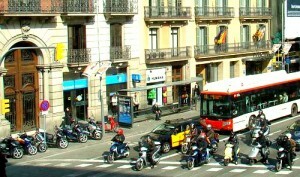 Parking in Barcelona is limited and often expensive and in reality it is recommended not to travel to the city by car. 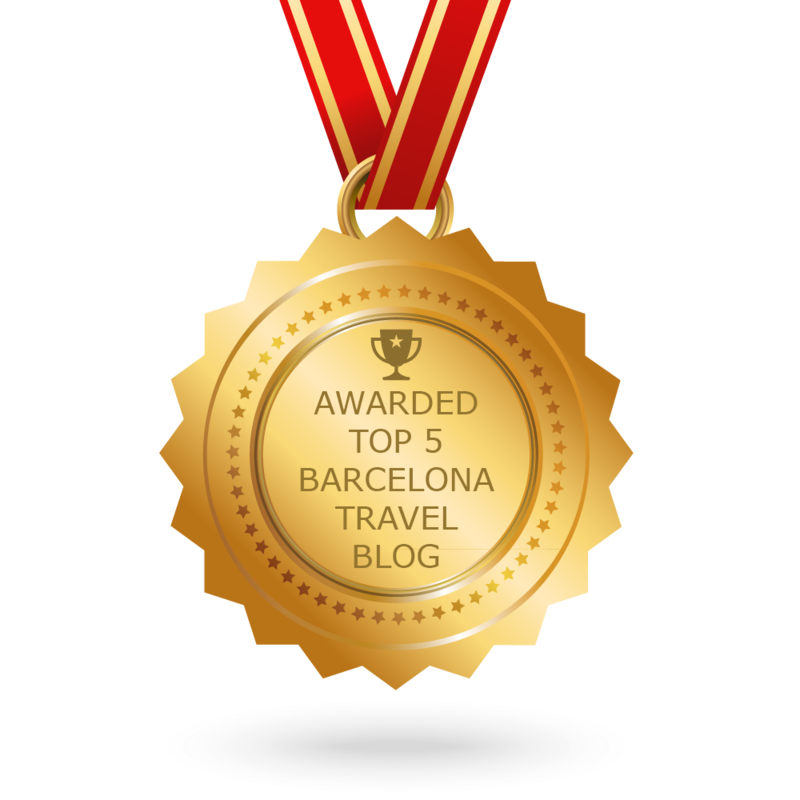 However, we understand that for some this is the only option and so to avoid confusion or even getting your car towed, we have prepared this useful guide to parking in Barcelona! In a transport hub such as Barcelona, where the metro, train, bus and even cycling routes are vast and efficient, there really is no point in attempting to get around the city by car unless you have to, running the almost certain risk of getting caught in dense and often slow-moving traffic jams, not to mention the sheer hassle of actually being able to find a parking spot. 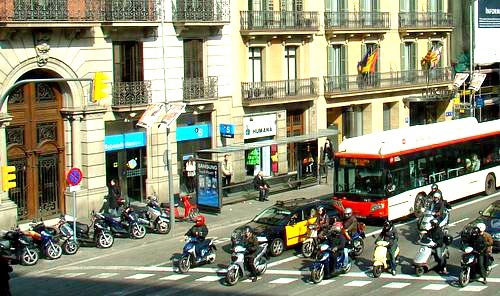 Many apartments in Barcelona offer parking spaces which are sometimes included in the rental price for a daily cost, in which case we recommend parking your vehicle upon arrival and taking advantage of Barcelona’s public transportation system. • Plaça de les Glòries: This car park is situated at the intersection of three major streets, Avinguda Diagonal, Gran Via de les Cortes Catalanes and Avinguda Meridiana. If your stay is from 2 to 6 hours of parking you will pay the same amount as if it was 2 hours, only 5.65€ The Glòries Metro station is close by offering convenient links to the rest of the city. • Estació del Nord Bus Station: This car park can be found on Calle d’Ali Bei, 54, just a short walk from Arc de Triomf metro station. The cost is around 2.81€ per hour and around 16.85€ for 24 hours. Free outdoor car parks are available in the city, however we highly recommend choosing an indoor garage over these, despite the price tag, simply due to the fact that most indoor car parks in Barcelona have 24/7 security cameras, allowing you peace of mind to enjoy your stay without having to worry about your vehicle’s safety. 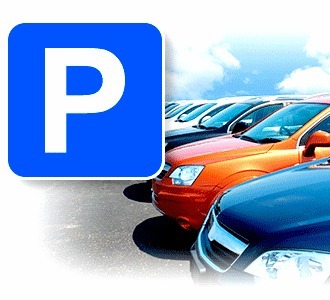 Nevertheless, you’ll find two free parking areas near the Zona Universitaria and Vall d’Hebron metro stations. Free parking can also be found in the Bogatell area, close to the metro station and on Montjuïc hill, close to Plaça Espanya. If you decide to leave your car parked on the street in Barcelona pay attention to the sign posts and restrictions so that you avoid any fines. Many parking spaces in the centre of the city are generally reserved for the use of residents. These are located in the ‘Àrea verda’ or green area. However tourists are permitted to park there if they pay a fee and stick to the time limits, as long as the space does not specifically state that it is for the sole use of residents. There also exists the ‘Àrea blava’ or blue zone, where paid parking is also permitted at certain times. Either way, we recommend that you read carefully the indications signposted and that you ensure that your pay and display ticket is clearly visible, thus avoiding any unwanted surprises later on. These green and blue zones have different systems depending on the area of the city where they are located so please pay attention to the times indicated. Generally speaking parking in the green and blue areas is free during the night, on bank holidays on most of the weekend, but please be sure to double check this. So there you have it, our guide to parking in Barcelona with its the ins and outs and dos and don’ts. Whatever you decide to do, we’re sure you’ll have an amazing stay in the city!